Below is a list of some of the people on the forum who also like to stream some FIFA. If you're looking for someone to watch check them out. When: Twitch Partner live almost every night from around 10pm Central US to 2-3am. What: A bit of everything! Stream some WL games and usually looking for advice and suggestions to get better. Mainly weekend evenings. US East. @dopetothemax post up your info man. Stream all things ultimate team. Twitch partner live almost every night from around 10pm central US to 2-3am. Based in Minneapolis Minnesota. Been playing FIFA for 5 years it is my passion. I post in the IRL Football section and the Xbox Community Centre. 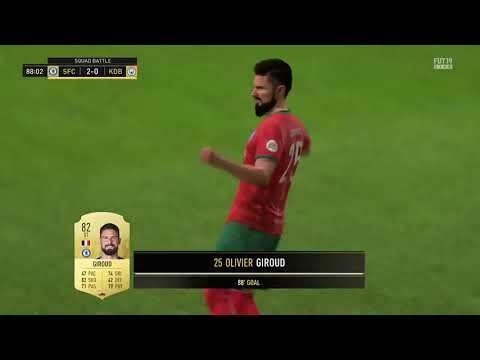 I stream Ultimate Team, everything from Rivals, Weekend League, SBCs, trading tips, the whole nine. Don’t have a set schedule yet, but I’m working on it. Come drop me a follow! I stream my whole WL, I also stream Rivals when I play and packs. I try to stream as much as I can. thanks for your support. Streaming WL in weekend and sometimes draft and rivals during the week. Weekly Objectives, Daily Objectives, Division Rivals matches, FUT Champs Weekend League matches, 86+ or special cards Pack Openings, Pro Clubs Drop-In, Division Rivals Rewards, FUT Champs Rewards, Pomo SBC's and Squad Battles Rewards. Really cool to see so many replies with their streams. I'll put this into a proper list in the OP at some point. Also, awesome idea for a thread! Going to stream for the first time tonight, 54 packs to open! Yes I may I got career modes lots of fotage I'll probably take a break from playing then I'll upload. this is the most entertaining streamer i enjoy watching late nights..I look forward to his rage and my goodness , it entertains me none stop . Hi guys, I stream career mode content. Any suggestions for my careers are most welcome! a compilation of 88 rated shevchenko from his 1st weekend league in fifa 18. Game was only 4 or 5 weeks old so he got 50 plus goals in less than 40 games. Mainly streamed weekend league and rewards. Some other games too. Also pro clubs when I played vfl and some other leagues. Pro clubs could be the best mode. Hi! 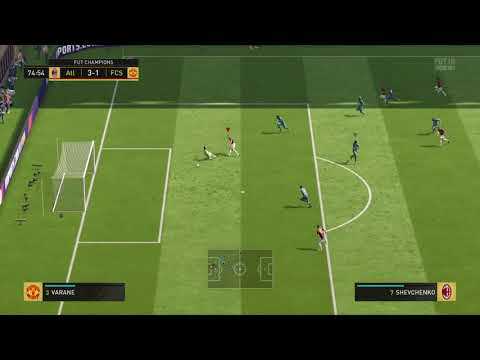 Romanian streamer, Twitch Affiliate,only FIFA ULTIMATE TEAM,everyday starting 17.30 uk time, for more informations please visit my page. Full Manual Streamer. Better than the "Pros". Undefeated in Seasons Manual. Anything FUT - D2 rivals, gold1/elite 3 fut champs, draft, sbcs, etc. I do not stream often currently but will be back soon! I m from Europe , central european time . Play: Weekend League, Apex and various random games. Doing a 24 hour livestream event 12th April for Macmillan so really trying to raise some channel awareness. Stream FIFA sometimes, sometimes other games like PES, Rocket League and Mortal Kombat.